Our authentic artisan Italian gelato is made with pride because we are passionate about our love for gelato. 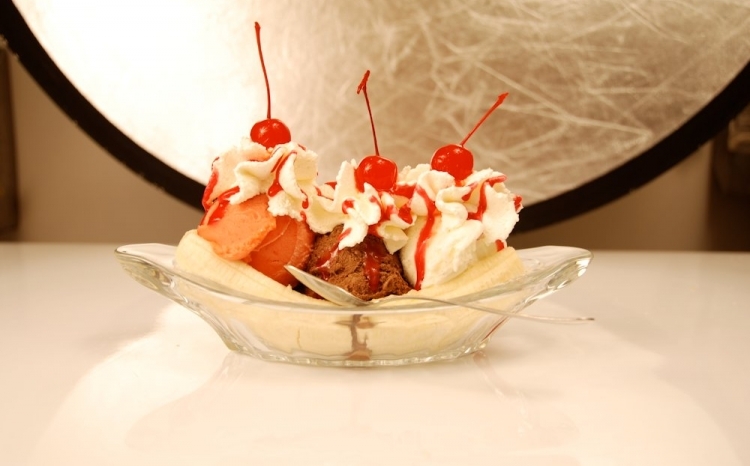 We use the freshest ingredients and the highest quality flavors to create our traditional frozen dessert. We always chose to purchase local when we can and search the world to provide our customers with authentic ingredients. NO emulsifiers are used in our well balanced receipt! So you'll never find Mono & Diglycerides, Polysorbates or other types you normally see in the ingredient list of ice cream or gelato competitors. I am from a second generation gelato makers and I learned from my father the right way. He always followed the classic and natural ways. So if you ask me the most healty flavor from my personal list of recipes, I will be glad to help you to find the most simple and natural from my favorite recipes from the old Italian classic or the most trendy and popular flavors. 0% Dairy, 0% added fat except natural fat from cocoa butter from Chocolate. Then fresh purified water, sugar and now even prebiotic fibers for a well balanced diet and a lot of real season fruits. 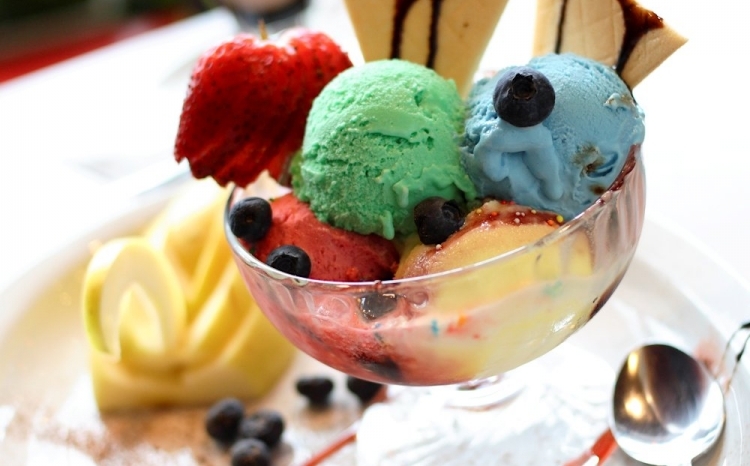 We also have sucrose free gelato for customers with special needs. 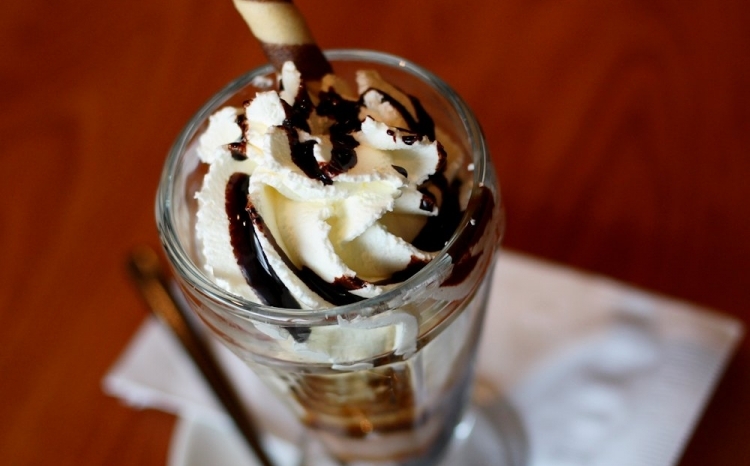 Ask the manager if you are dairy or sucrose intolerant, we can help you find the right flavor. Whether you came for lunch or anytime, enjoy our extended menu of freshly prepared Italian favorites. 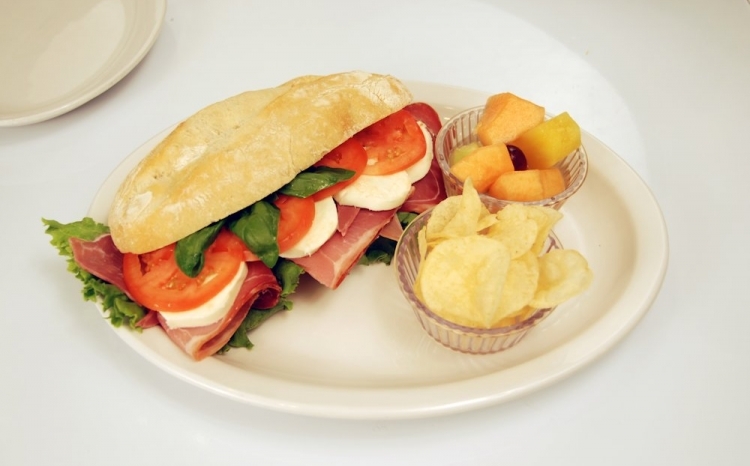 Aside from our delicious gelato, we also offer fresh Panini and soups as well as Italian coffee specialties like espresso and cappuccino, and Imported Italian wines. Our Panini, the classic Italian sandwich made with the real crispy ciabatta bread, comes with your choice of cold cuts, veggies, and fresh soft mozzarella or provolone cheese – perfectly paired with our hot, savory soups. 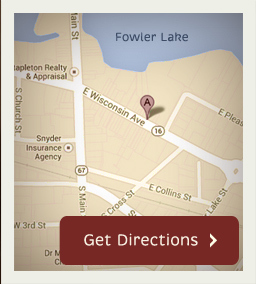 In the Waukesha county we are famous also for our traditional Italian Hot Chocolate and Cream. Don't forget to ask at the bar counter about another classic Italian specialty "Bicerin". An hot sweet treat that has been known since the 18th-century in Norht-West Italy; city of Turin in the Piedmont region also famous to be the historical capital of the chocolate tradition. 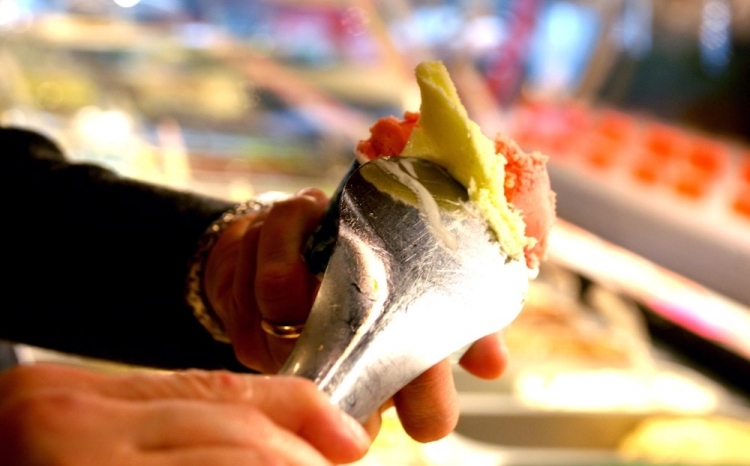 When you experience authentic artisan gelato from Golosi's, you will be able to taste the difference. At Golosi’s we are committed to the traditional, artisanal method of gelato making that starts with the basic ingredients of milk, sugar, cream, and natural flavors. Our base cream and sugar come from local sources. Our milk comes straight from local farmers and is always fresh, creamy and free of hormones. The natural flavors that we use are just that – natural. You will never find artificial colors, hydrogenated fats or preservatives in our milk cream for our classic artisan gelato. Higher quality ingredients doesn't always mean higher cost! Please, compare our effort and quality of our product with others. 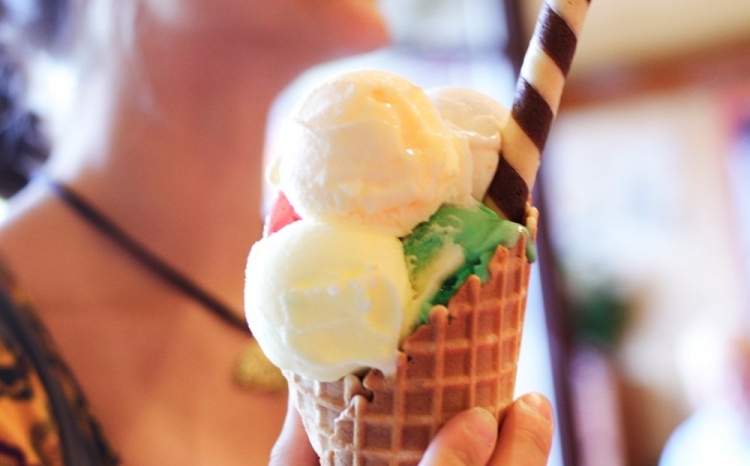 Italian born Marina, co-owner of Golosi, is a second generation gelato master. 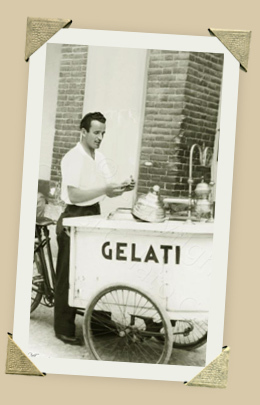 Her father, Antonio (pictured right) started a small gelato business in Casale Monferrato after moving from the northeast of Italy after the second World War. Over fifteen years ago, Marina and her family moved to the United States, settling in Oconomowoc, Wisconsin. Longing for good authentic artisan gelato, she pushed the whole family to open Golosi in 2006 and let southern Wisconsin know what creamy, real hand crafted gelato that respected the old traditions was really like. Ever since then Marina and her husband Paolo have been committed to making sure only the best ingredients go into their gelato, personally choosing and selecting everything from the milk, the vanilla beans to the European chocolate and continuing the traditional methods of creating truly genuine gelato inspired by their land of origin. Join us on Facebook for flavor updates, news and events.